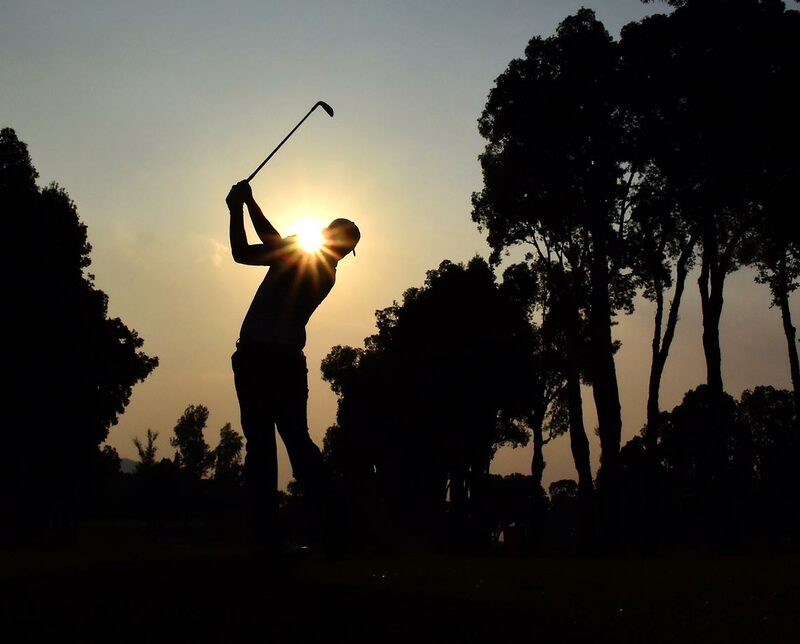 New Year's Day Hot Clicks: Can 2015 Match These Best Photos of 2014? 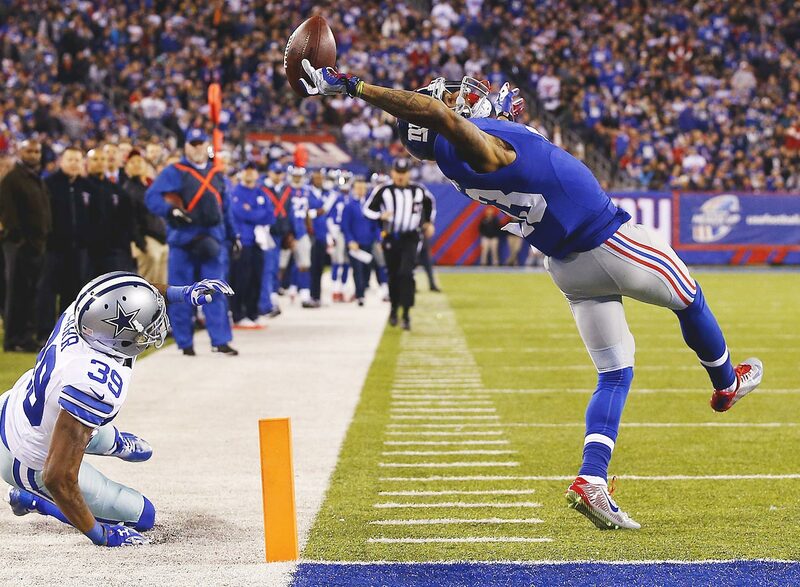 Giants wide receiver Odell Beckham Jr. made one of the best catches in NFL history in 2014, a 43-yard touchdown reception in the second quarter against the Dallas Cowboys. 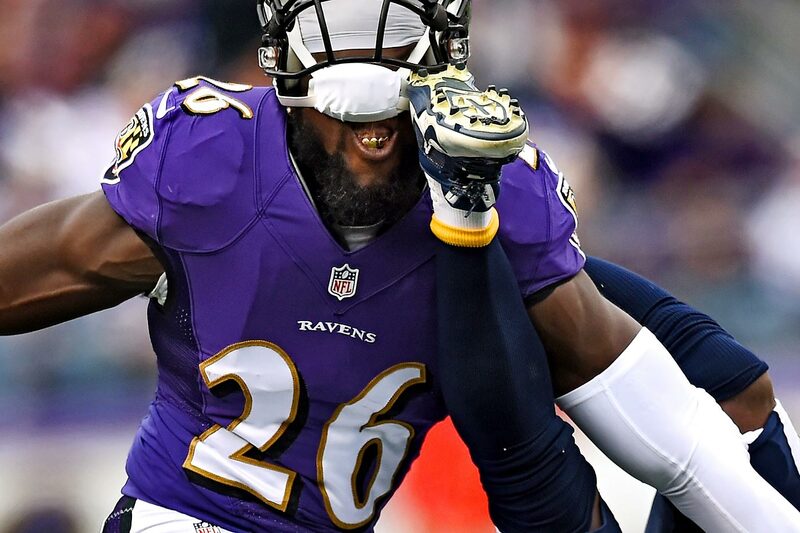 Matt Elam of the Baltimore Ravens gets kicked by Eddie Royal of the Chargers. 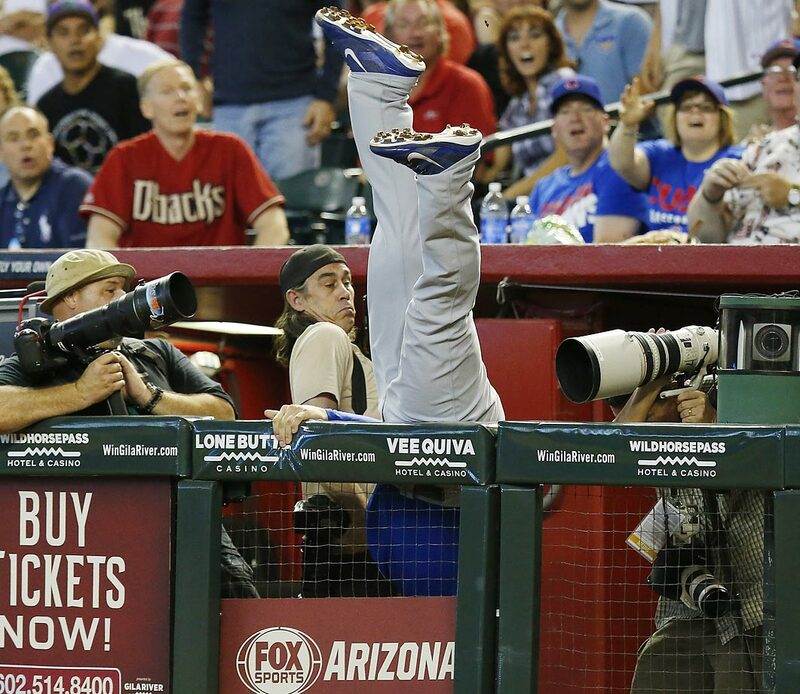 Anthony Rizzo of the Chicago Cubs makes a diving catch into the photo well on a foul ball hit by Aaron Hill of the Arizona Diamondbacks in Phoenix. 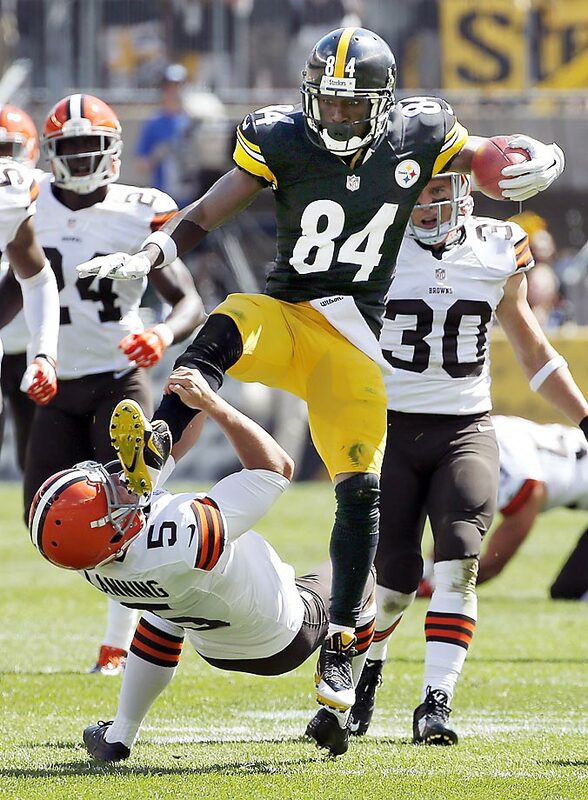 Antonio Brown of the Pittsburgh Steelers kicks Cleveland Browns punter Spencer Lanning as he jumps while returning a pun. Brown was penalized for unnecessary roughness. 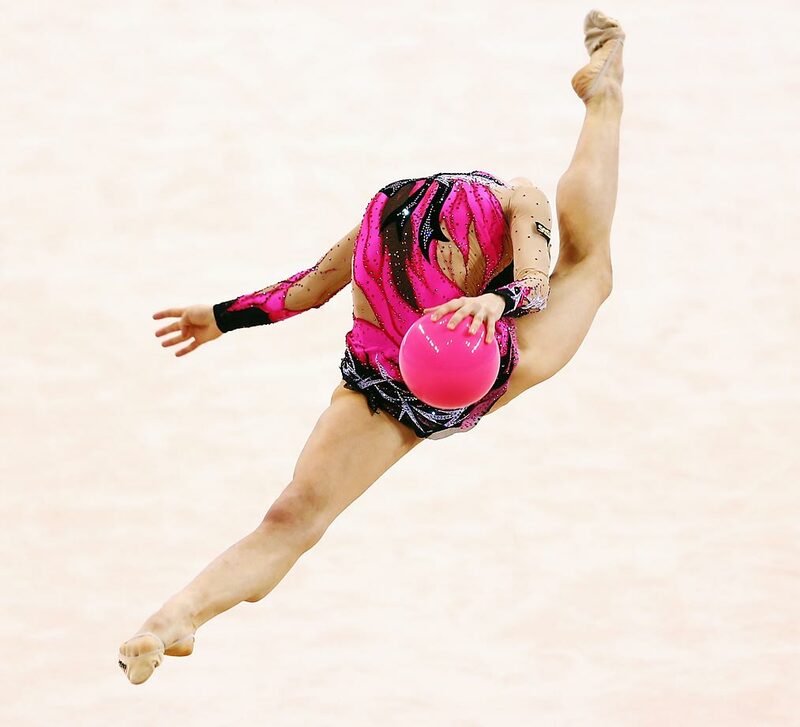 Sara Staykova of Bulgaria performs with the ball during the GAZPROM World Cup Rhythmic Gymnastics in Stuttgart, Germany. 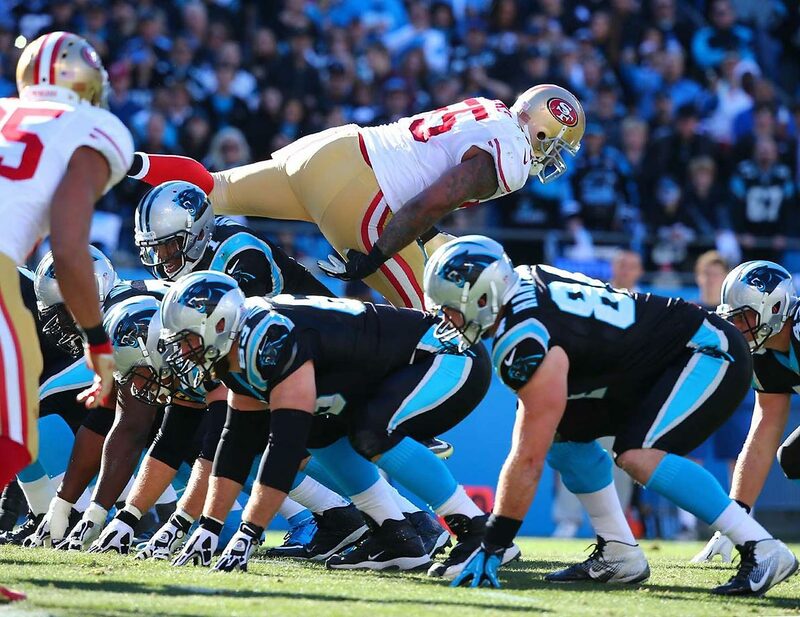 An over-anxious San Francisco defender leaps into the backfield of the Carolina Panthers before the ball is snapped. 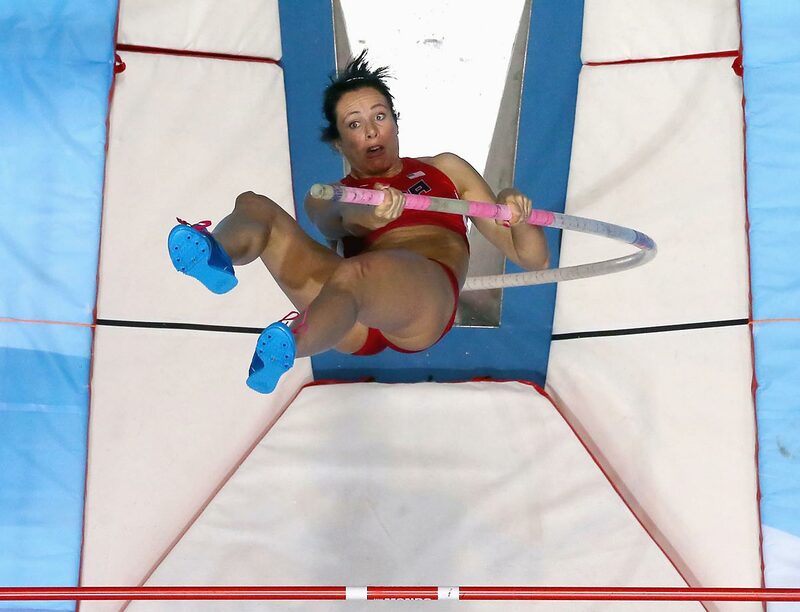 Jennifer Suhr of the U.S. competes during the pole vault final at the IAAF World Indoor Championships in Poland. Suhr won the pole vault competition at the 2012 London Games, but only finished fifth in this competition. 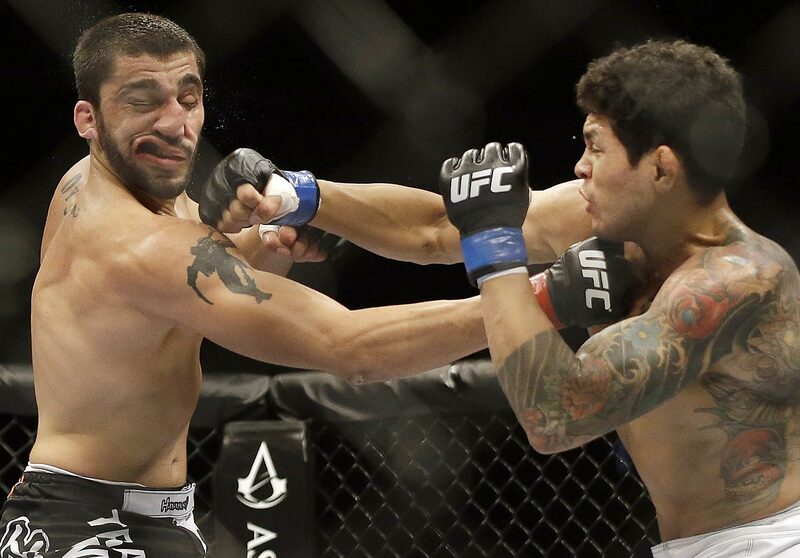 Diego Ferreira (right) lands a punch on Ramsey Nijem during the second round of their lightweight mixed martial arts bout. Ferreira won in the second round. 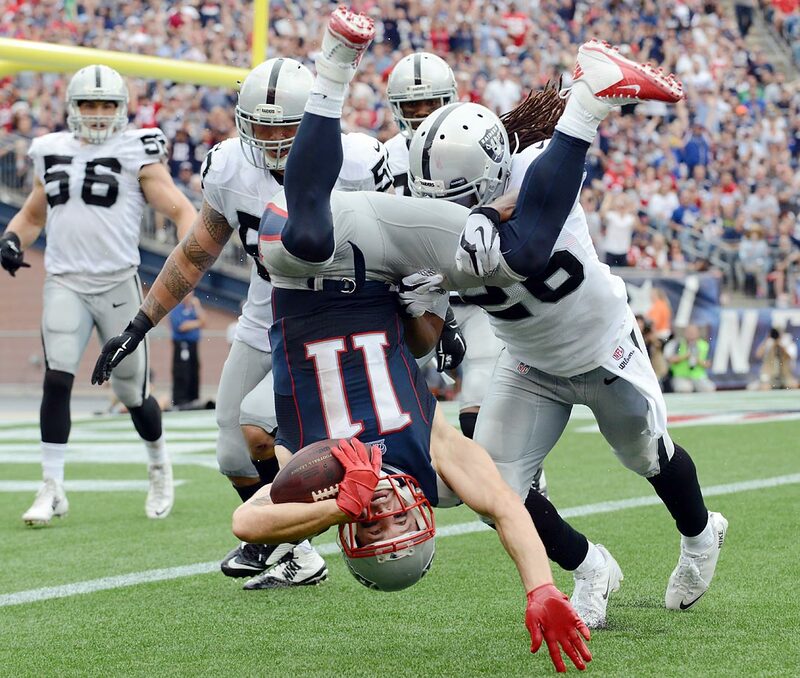 Wide receiver Julian Edelman of the New England Patriots is tackled by strong safety Usama Young of the Oakland Raiders. 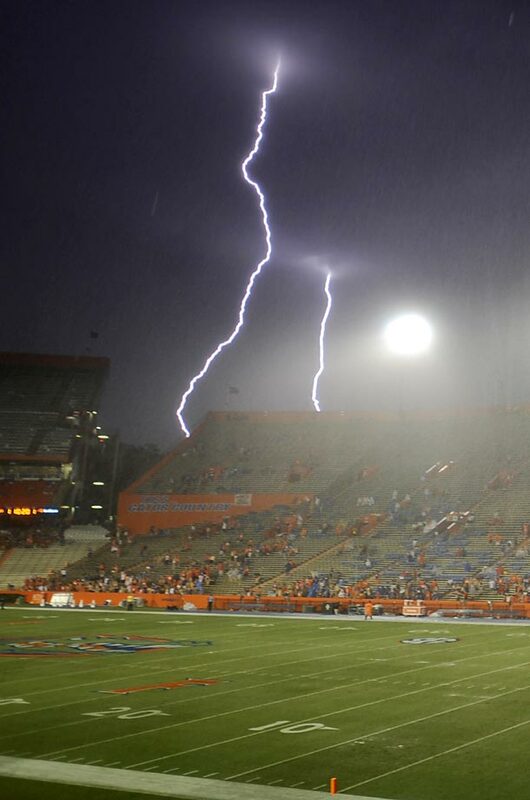 Lightning strikes near Ben Hill Griffin Stadium at Florida Field during a weather delay before the game between Florida and Idaho in Gainesville on Aug. 30. 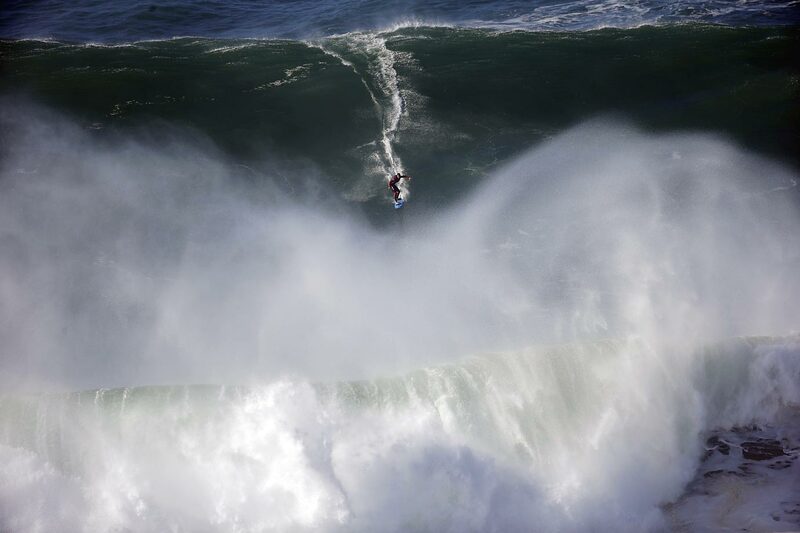 A surfer rides a wave during a tow-in surfing session at the Praia do Norte beach in Nazare, Portugal. 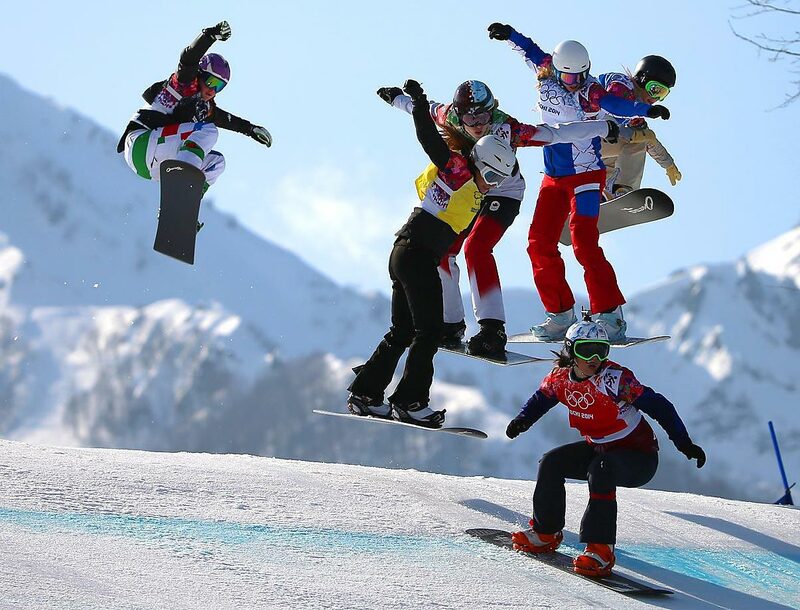 Competitors in the women's Snowboard Cross semifinals at the Winter Olympics. 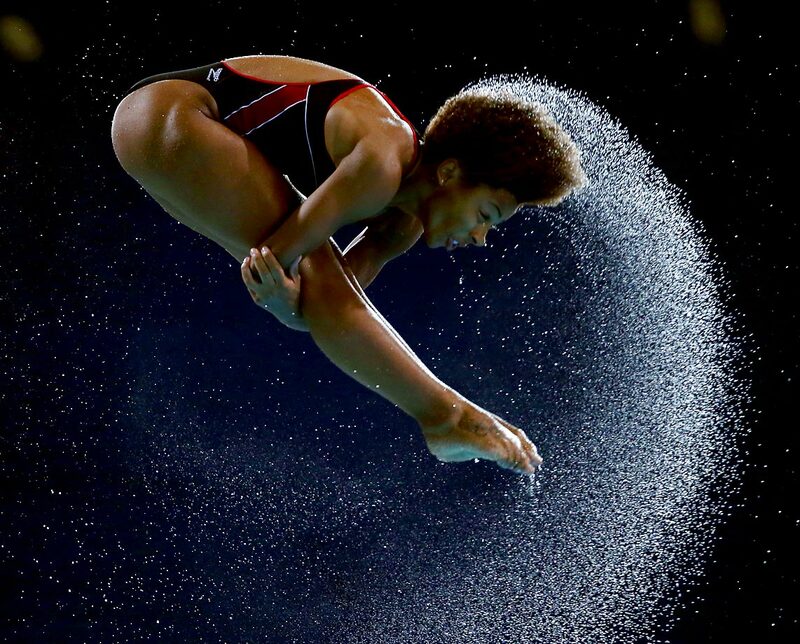 Jennifer Abel of Canada in action during practice prior to the 3m Springboard Final at the Glasgow 2014 Commonwealth Games. 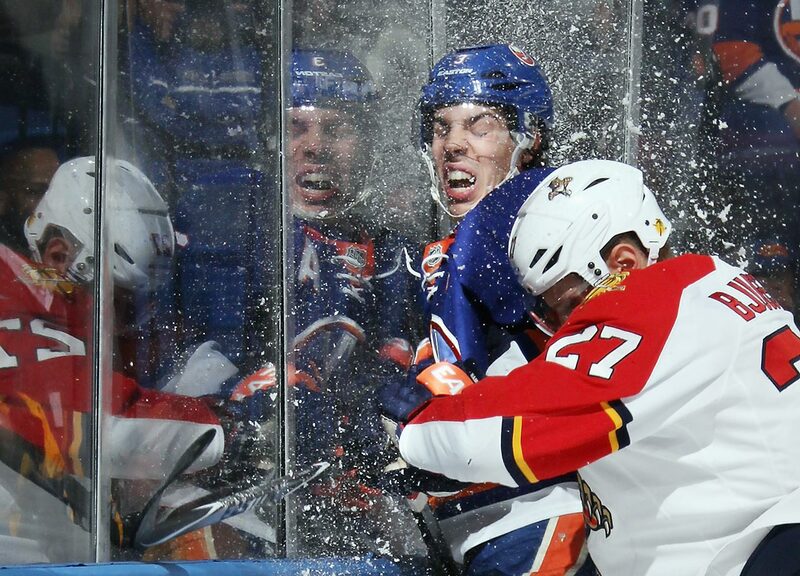 Travis Hamonic of the New York Islanders is smashed into the glass by Nick Bjugstad of the Panthers. 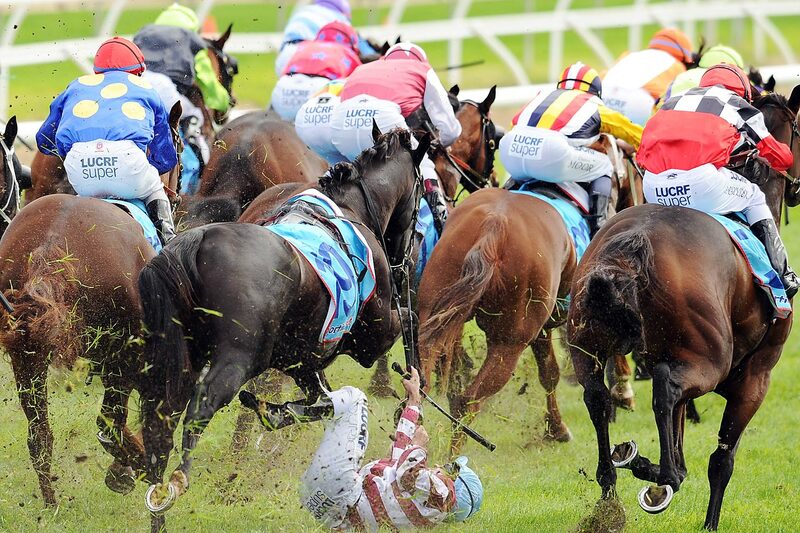 Vlad Duric escapes serious injury after falling off Golfing in in the home straight in Race 5, the Bert Bryant Handicap during Melbourne Racing at Caulfield Racecourse. 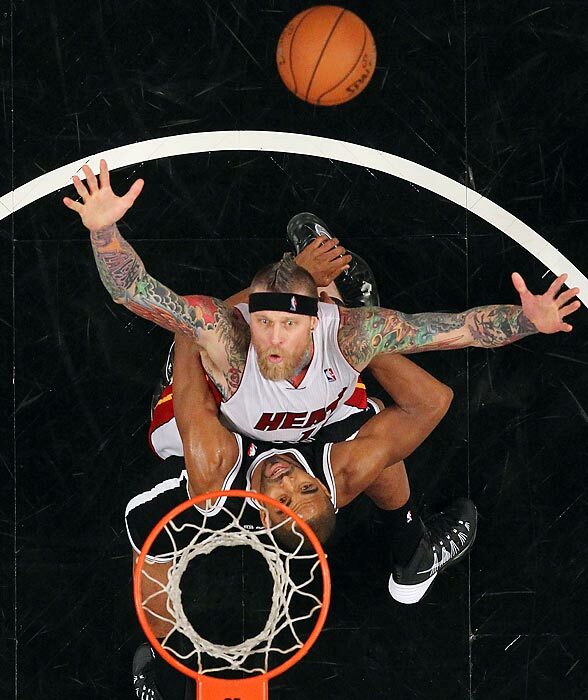 Chris Andersen of the Miami Heat and Alan Anderson of the Brooklyn Nets battle for the ball during their game at the Barclays Center. 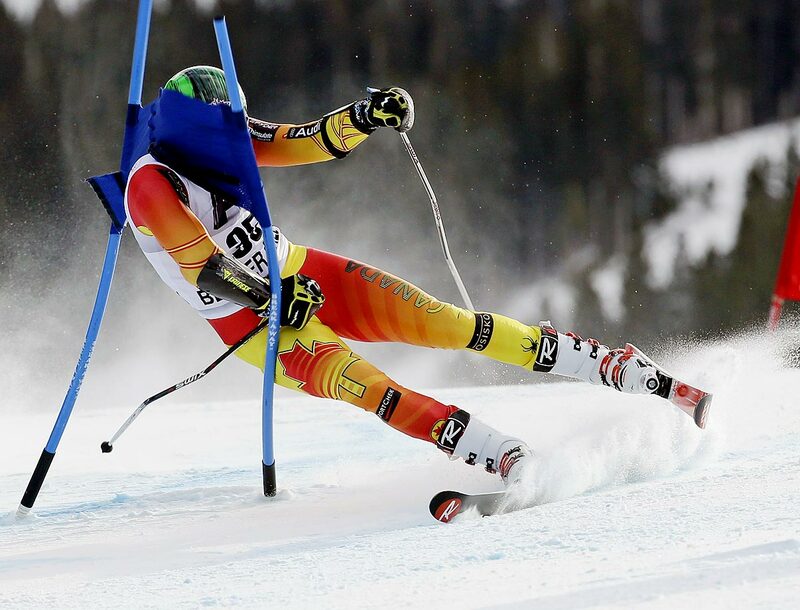 Phil Brown does a face-plant into a gate at the World Cup giant slalom in Beaver Creek. Cameron Smith of Australia in action during the second round of the 2014 Hong Kong Open. Real Madrid's Cristiano Ronaldo attempts to score on a bicycle kick during a La Liga match against Granada. 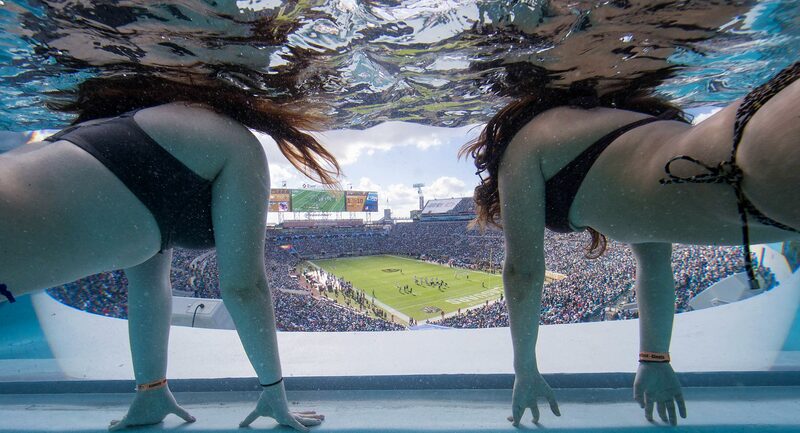 Fans watch the New York Giants vs. Jacksonville Jaguars game from underwater in the northeast pool on the Clevelander Deck at EverBank Field. 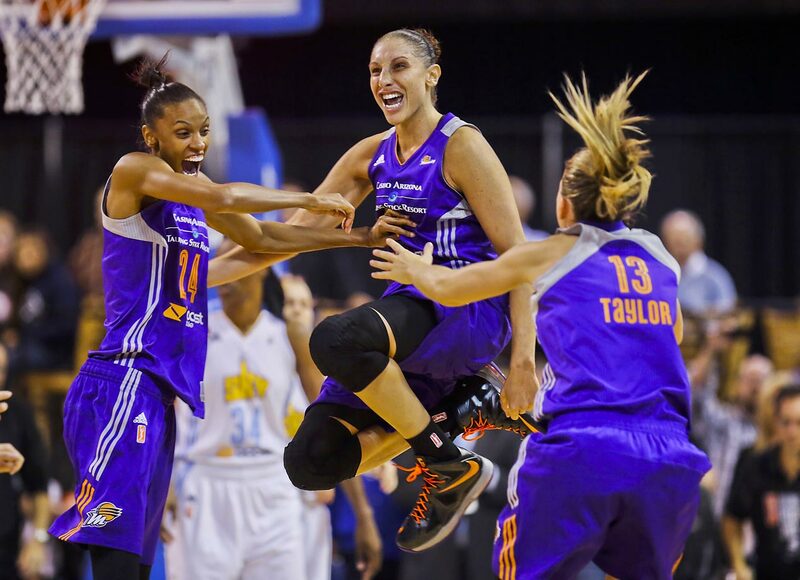 DeWanna Bonner (24) celebrates with Diana Taurasi and Penny Taylor after the Phoenix Mercury won the WNBA championship. They defeated Chicago Sky 87-82 in the clinching game. 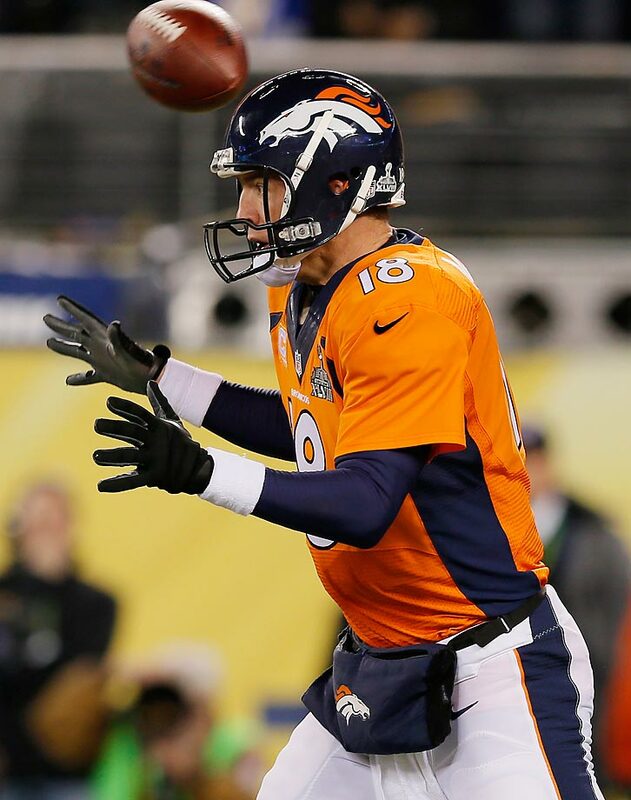 Super Bowl XLVIII got off to a rough start for Denver when the first snap from scrimmage went flying past Peyton Manning's head and into the end zone. 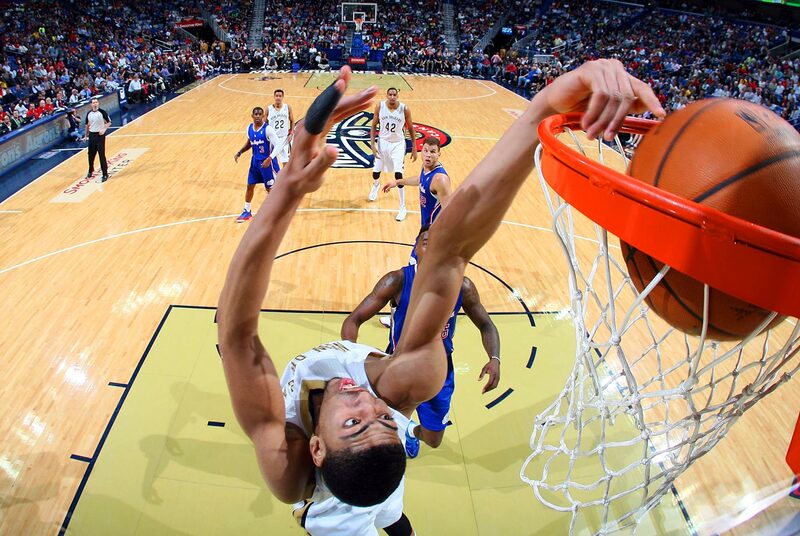 New Orleans Pelicans forward Anthony Davis dunks against the Los Angeles Clippers. 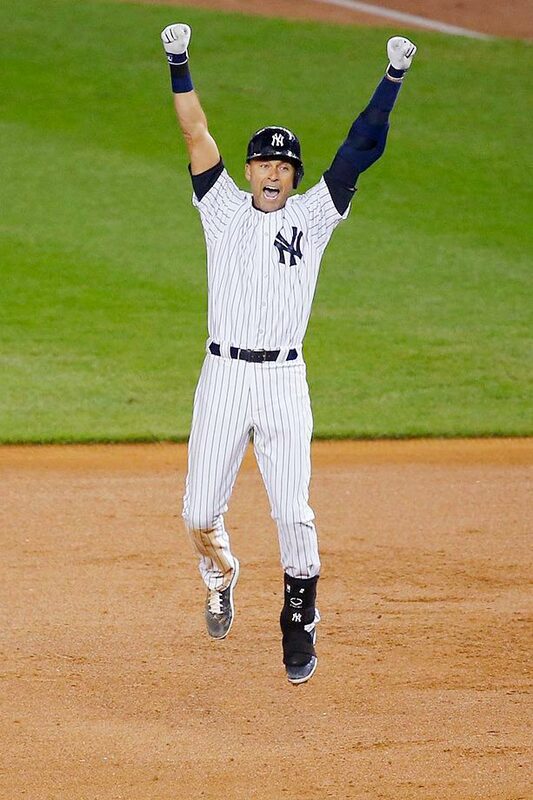 Derek Jeter celebrates his game-winning hit in his last at-bat at Yankee Stadium. Andrej Meszaros of the Boston Bruins flips over Tomas Tatar of the Red Wings in the third period during the game at TD Garden. 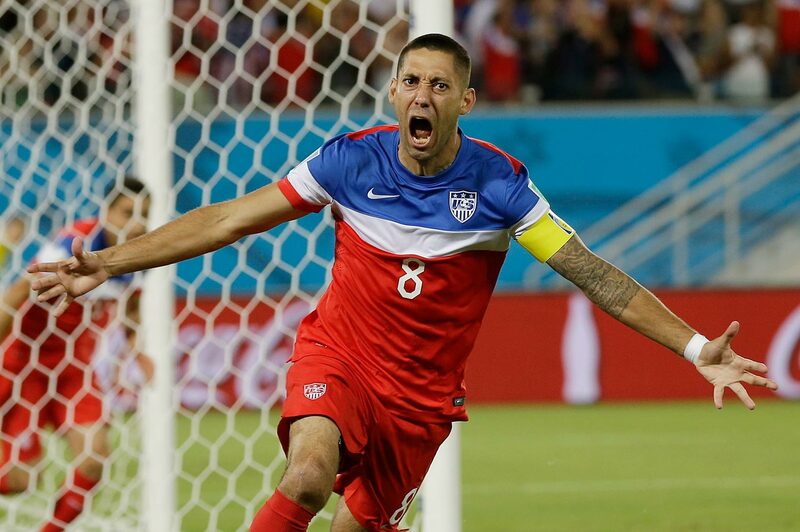 Clint Dempsey of the U.S. celebrates after scoring the opening goal during the group G World Cup soccer match against Ghana. 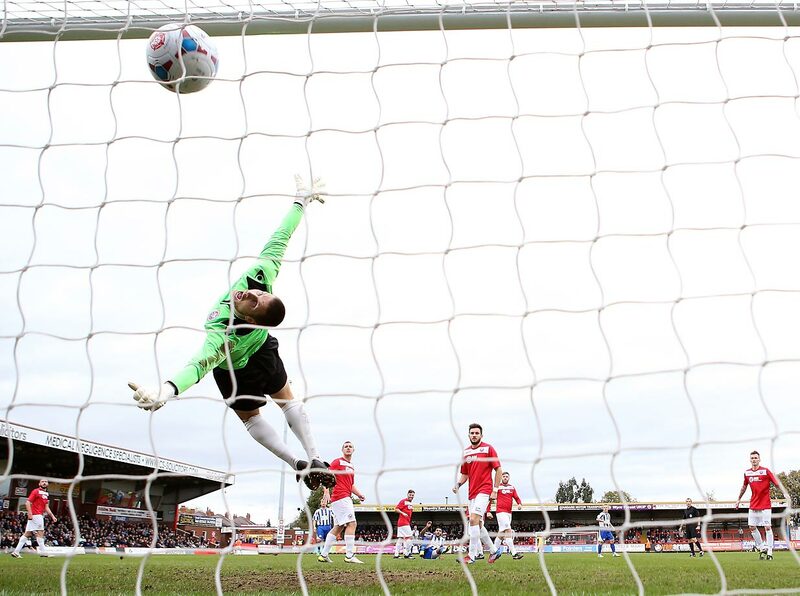 The United States won the match 2-1. 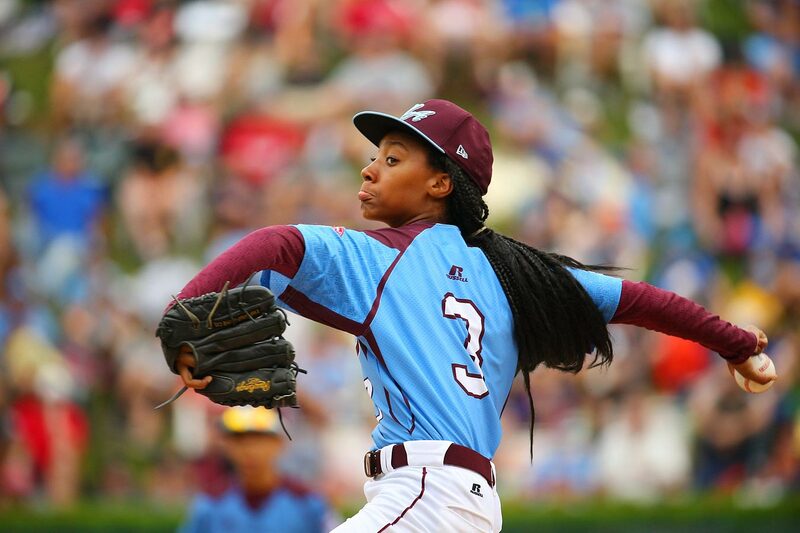 Little League star Mo'ne Davis throws a pitch against the Southeast Region team from Nashville. Alec Martinez of the Los Angeles Kings scores the Stanley Cup-winning goal in double overtime, beating New York Rangers goaltender Henrik Lundqvist. After being down 3-1 in its first-round series, Los Angeles completed its second title run in three years with the victory. 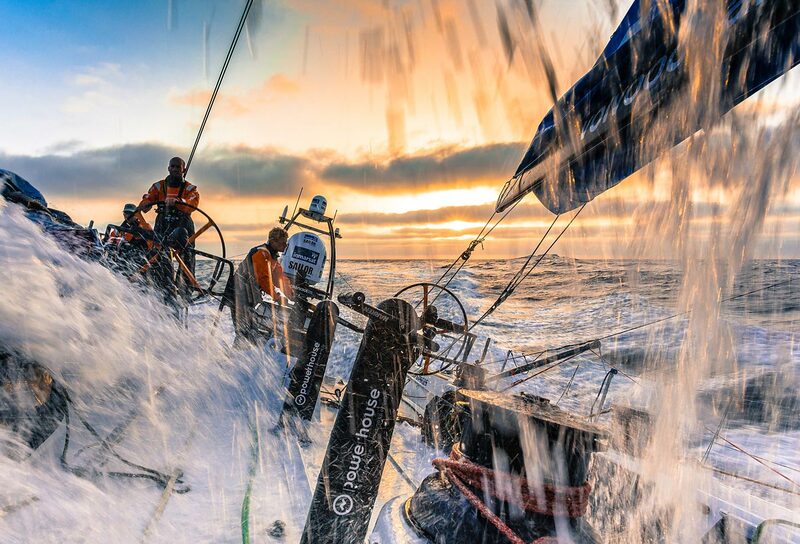 Team Vestas Wind competes in the Volvo Ocean Race, the world's premier ocean race for professional racing crews. 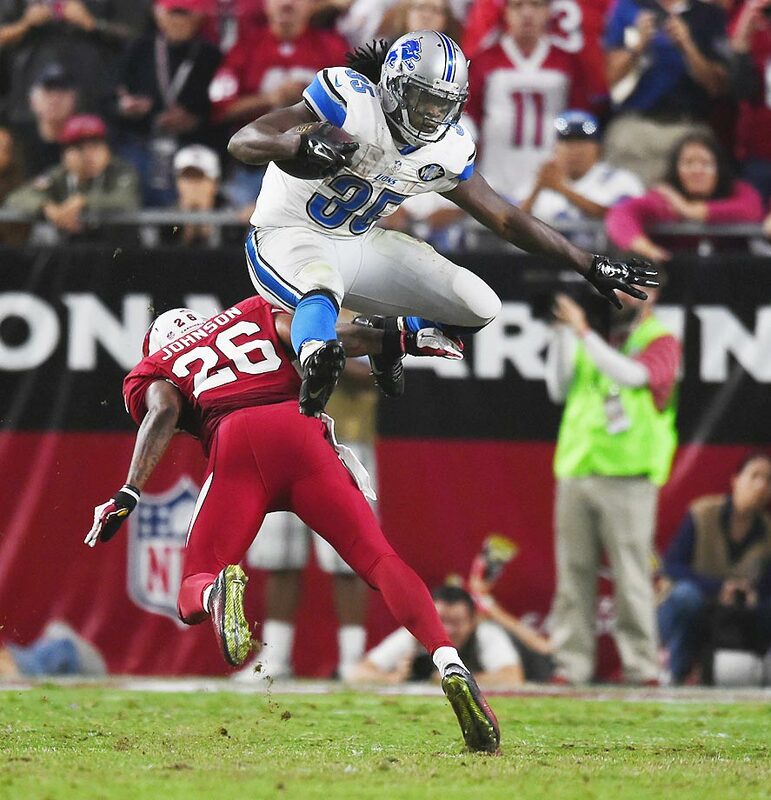 Detroit Lions running back Joique Bell jumps over Arizona Cardinals safety Rashad Johnson during a 14-6 victory. With the tying run on third in game 7 of the World Series, Pablo Sandoval caught a fly ball in foul territory to end the game and set off a San Francisco celebration. 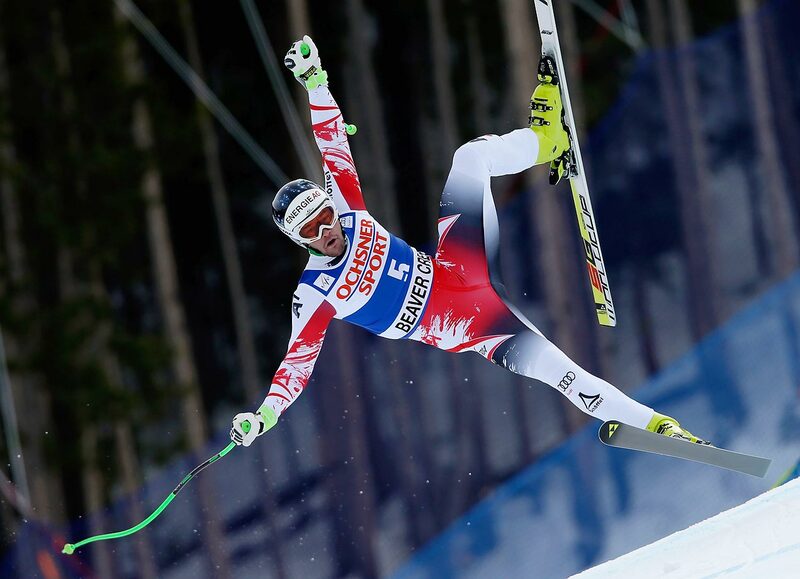 Vincent Kriechmayr of Austria loses control during the Audi FIS World Cup Men's Super G Race on the Birds of Prey course in Beaver Creek. 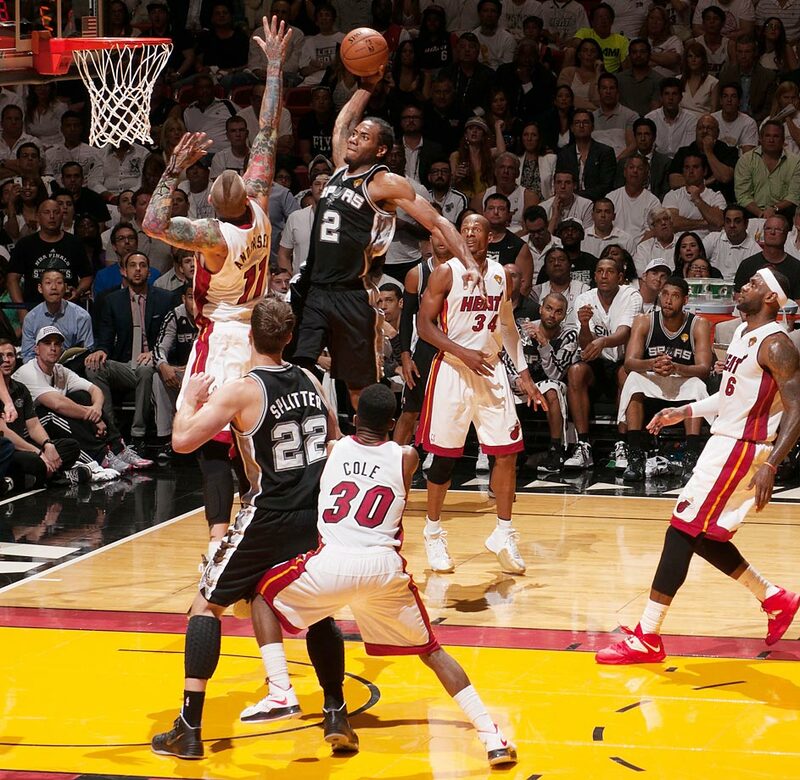 San Antonio Spurs Kawhi Leonard shoots over Chris Andersen of the Heat in game 4 of the NBA Finals. 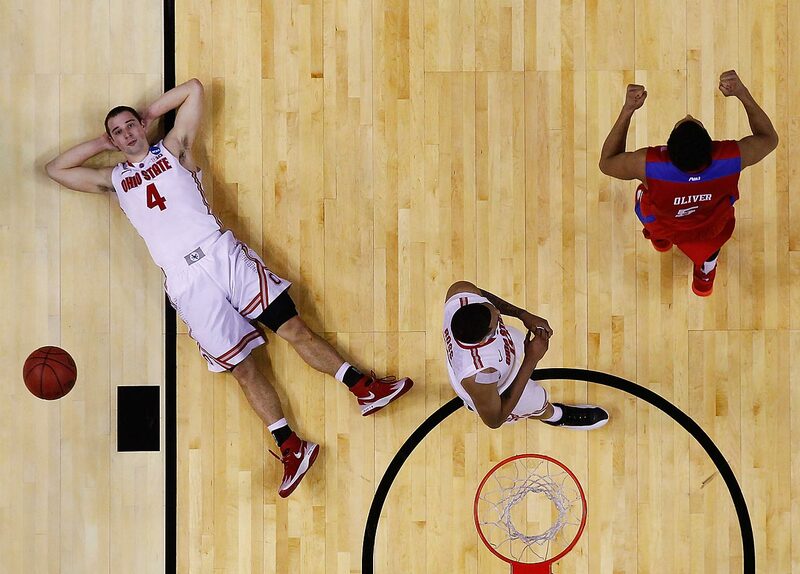 Aaron Craft of the Ohio State Buckeyes reacts after losing to the Dayton Flyers 60-59 in the second round of the 2014 NCAA Men's Basketball Tournament. 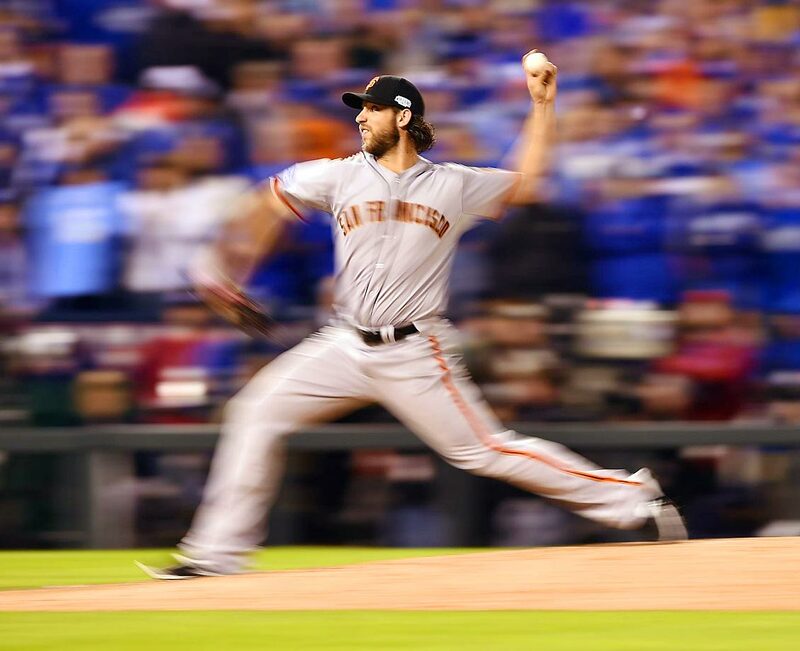 World Series MVP Madison Bumgarner pitched five scoreless innings to lead the Giants past the Royals 3-2 in in the decisive Game 7 in Kansas City. 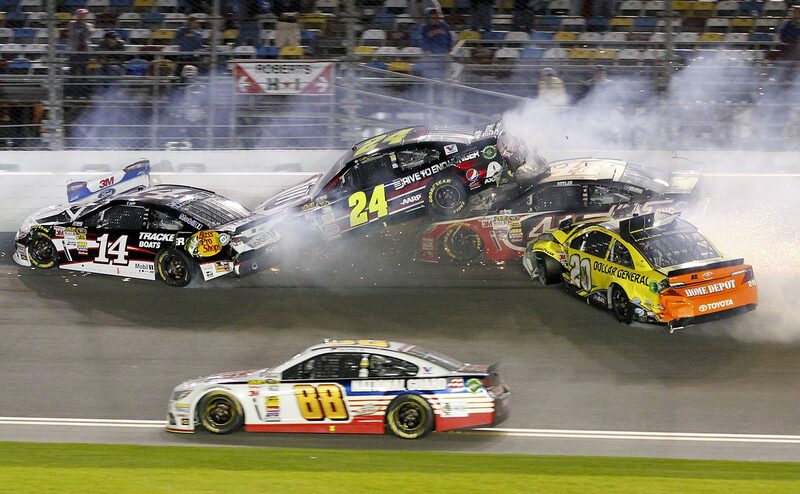 Tony Stewart, Jeff Gordon, Kurt Busch, and Matt Kenseth wreck on the front stretch as Dale Earnhardt Jr. goes low to avoid the crash during the NASCAR Sprint Unlimited auto race at Daytona International Speedway in Daytona Beach, Fla.
Adelina Sotnikova gave Russia its first gold medal in women's Olympic figure skating, outscoring silver medalist Yuna Kim of South Korea and bronze medalist Carolina Kostner of Italy. 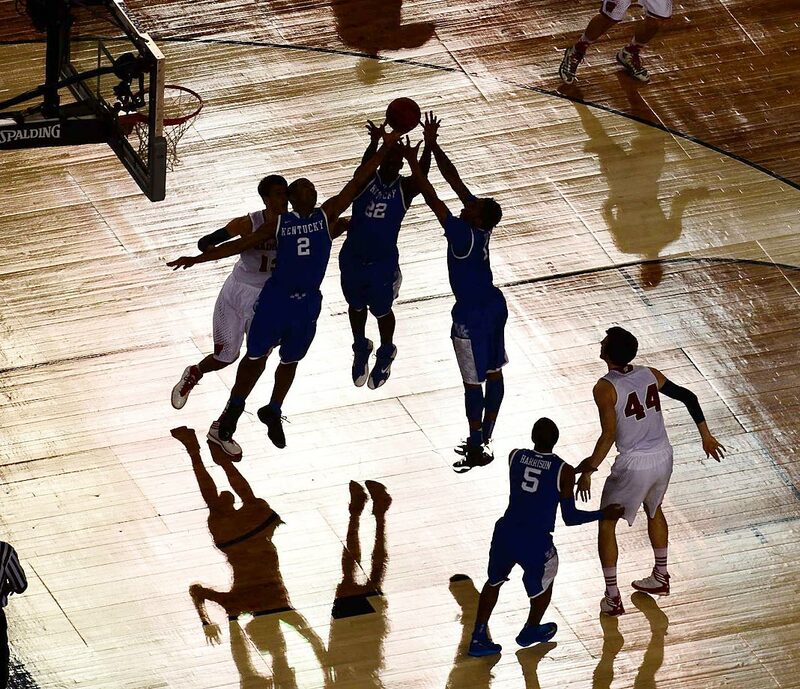 Alex Poythress and teammates go up for a rebound against Wisconsin in the 2014 Final Four. Seoul's Hae Chan Cho (21) celebrates with teammates after hitting a solo home run against Jackie Robinson West (Chicago) in the Little League World Series finale. 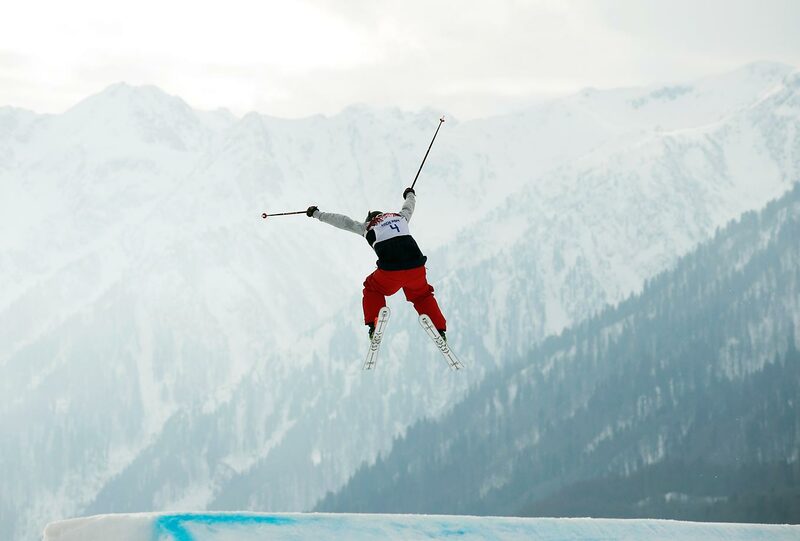 United States skier Devin Logan jumps during the women's freestyle skiing slopestyle qualifying at the Sochi Olympics. Logan won the silver medal. 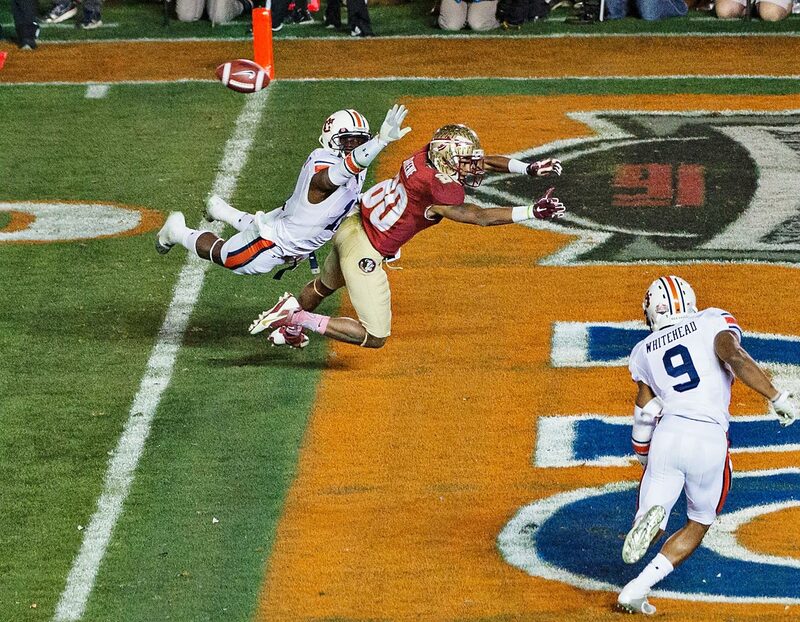 Chris Davis of Auburn tries to tackle Rashad Greene of Florida State in the BCS Championship game. 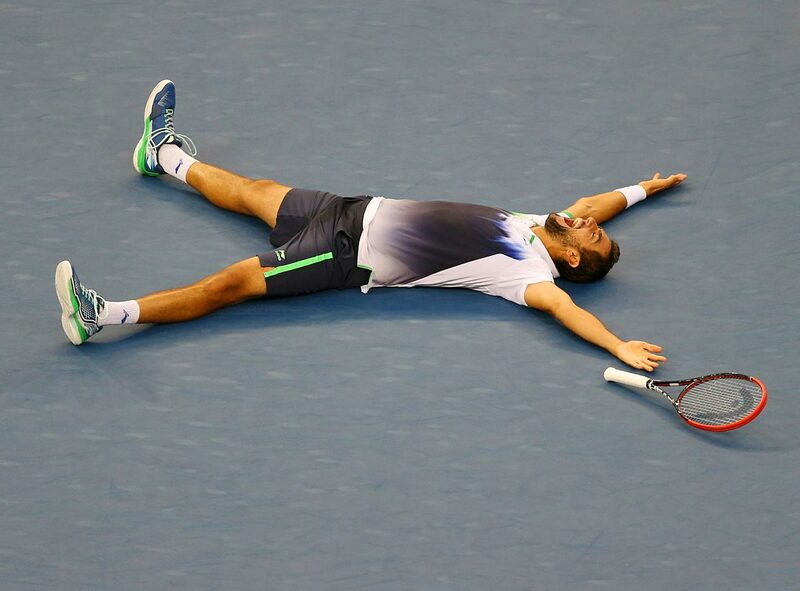 Marin Cilic after winning 6-3, 6-3, 6-3 over Kei Nishikori in the U.S. Open final. Craig Hollaway of Greenwich Borough FC is beaten by Ellis Deeney of Worcester City during the FA Cup Qualifying Fourth Round match. 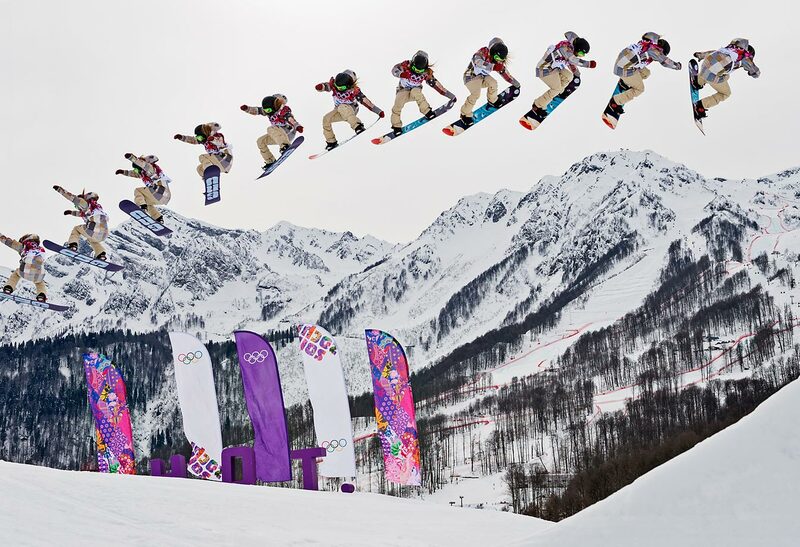 American snowboarder Jamie Anderson's jump during the ladies' slopestyle finals at the Olympics is shown in multiple exposures. Anderson won a gold medal in the competition. 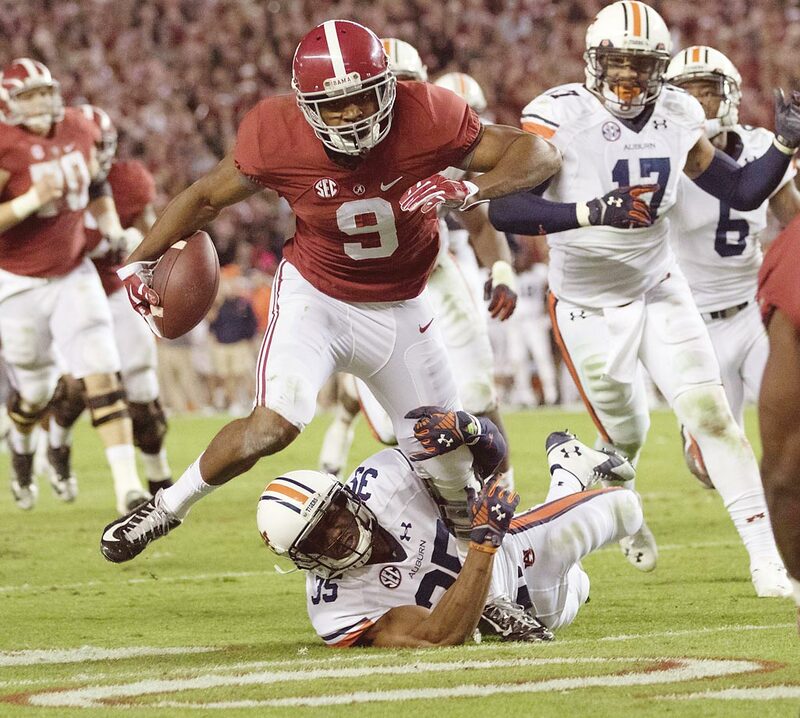 Auburn's Joe Turner attempts to bring down Alabama running back Amari Cooper in the 2014 Iron Bowl. Cooper finished with 224 yards in Alabama's 55-44 win. 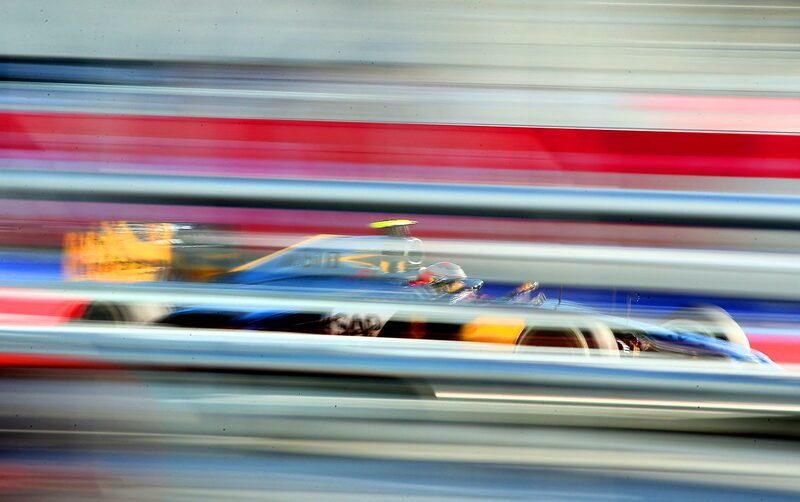 Kevin Magnussen of Denmark and McLaren drives during practice ahead of the Russian Formula One Grand Prix in Sochi, Russia. 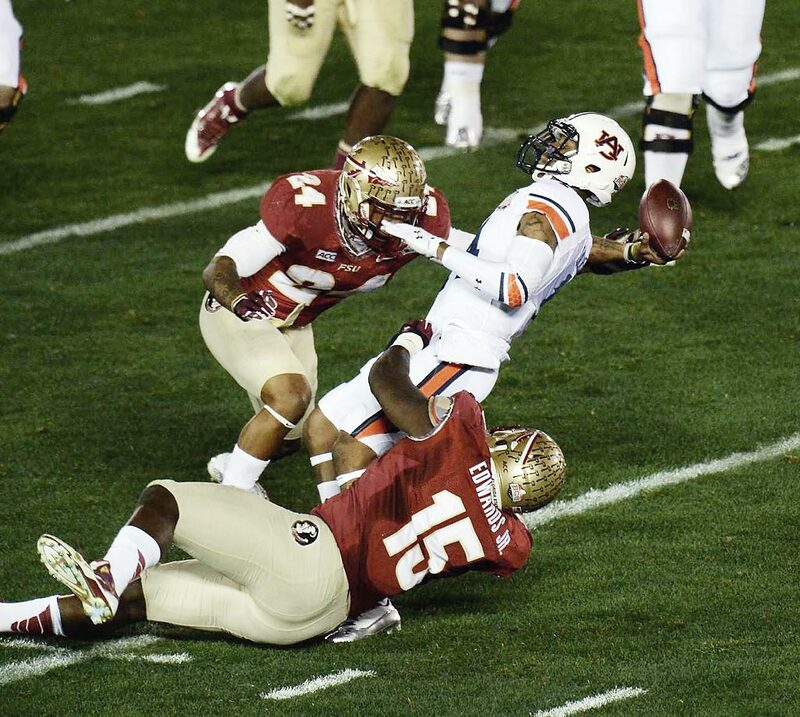 Mario Edwards Jr. and Terrance Smith of Florida State tackle Nick Marshall of Auburn in the BCS Championship Game. 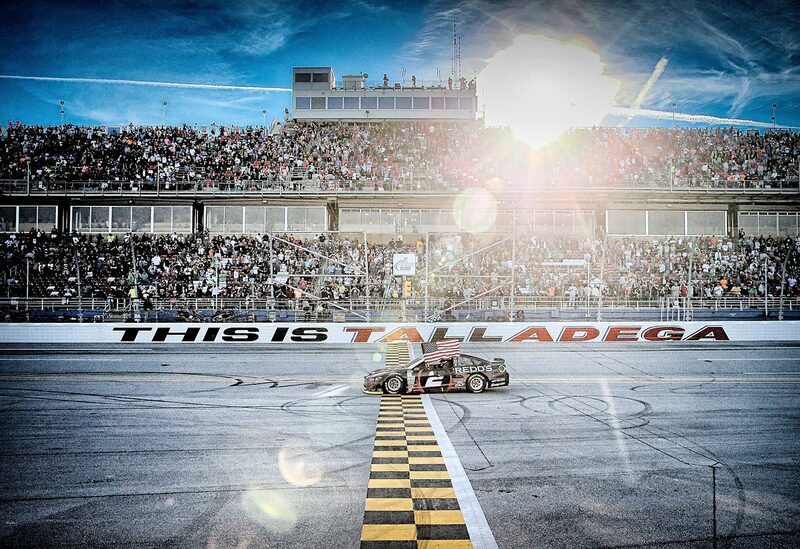 Brad Keselowski celebrates after winning a NASCAR Sprint Cup Series race at Talladega Superspeedway. 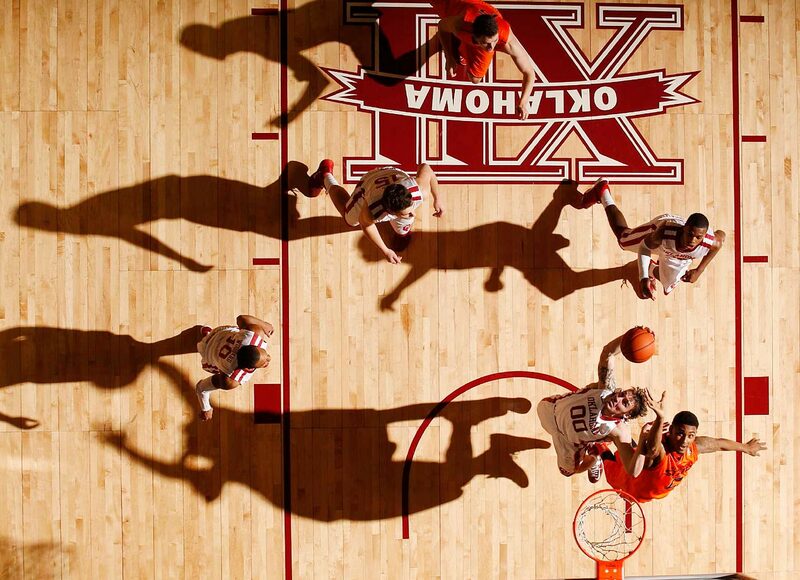 Oklahoma forward Ryan Spangler grabs a rebound in a contest against Oklahoma State. 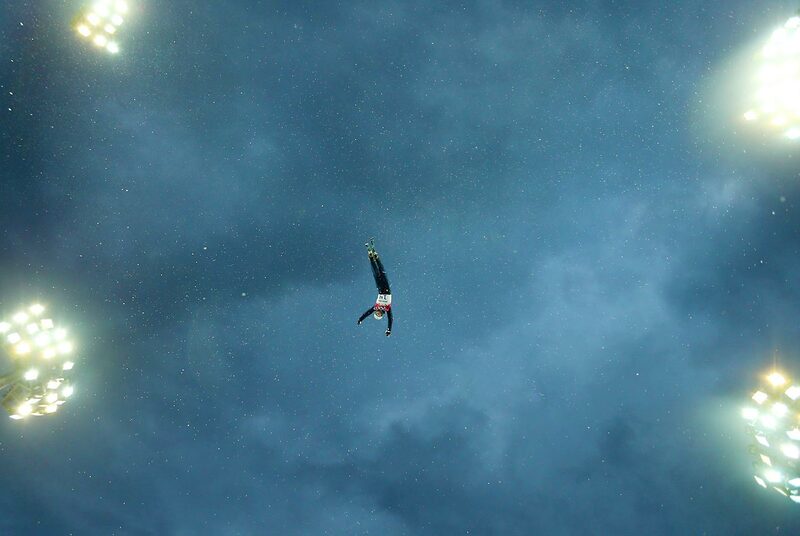 Mac Bohonnon competes in the freestyle aerials t the 2014 Winter Olympics. 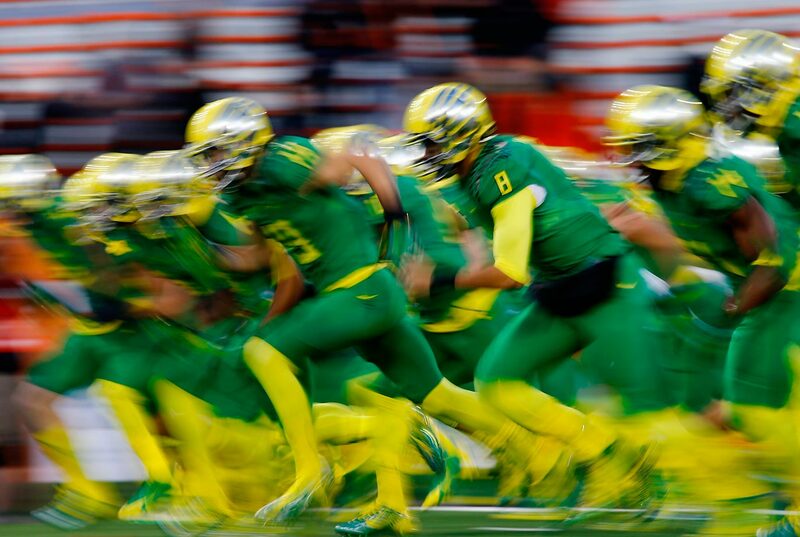 The Oregon Ducks take the field for their game against the Oregon State Beavers. 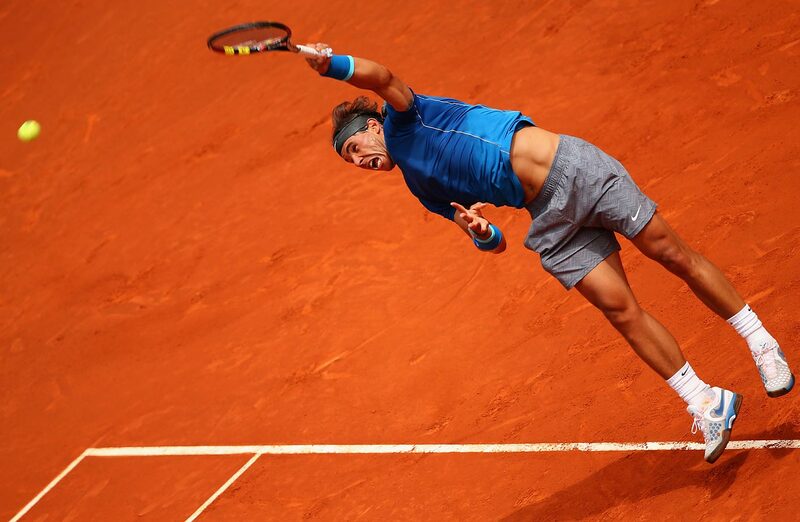 Rafael Nadal serves against Juan Monaco of Argentina in their second round match of the Mutua Madrid Open. 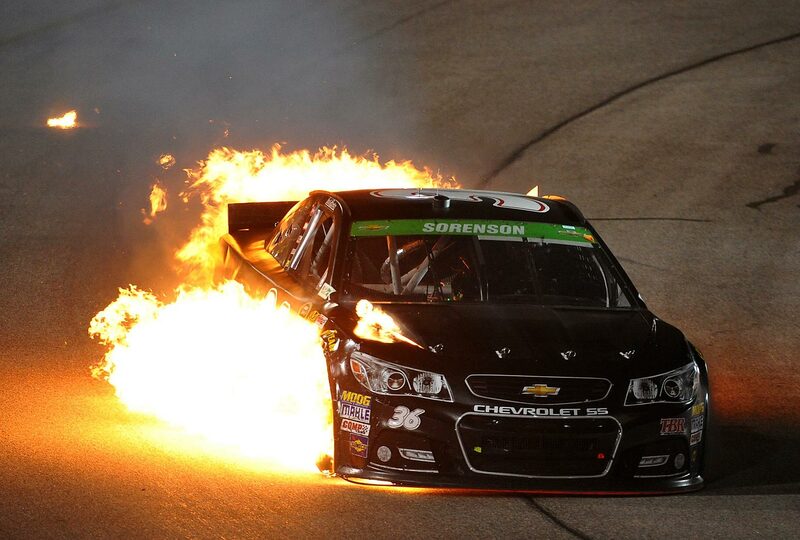 Reed Sorenson's Chevrolet catches fire during the NASCAR Sprint Cup Series Toyota Owners 400 in Richmond, Va.
New England Patriots tight end Rob Gronkowski scores a touchdown against Vontae Davis of the Indianapolis Colts. 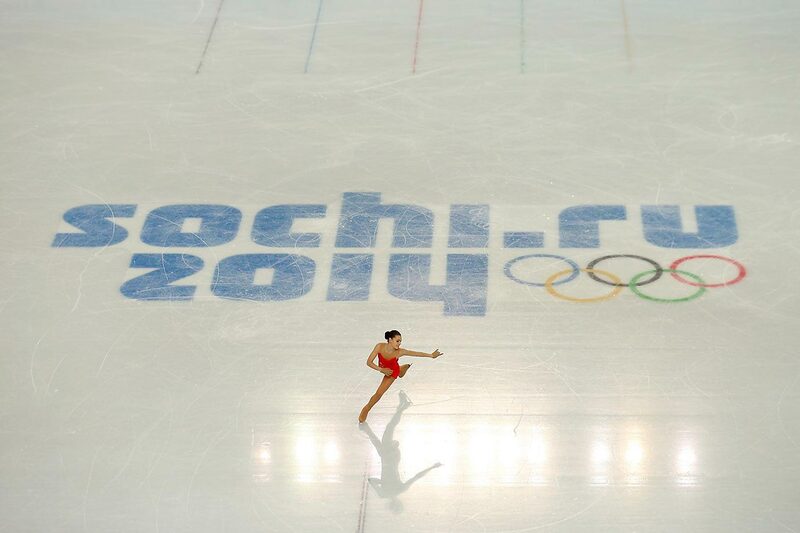 Adelina Sotnikova of Russia during the short program at the Sochi Olympics. 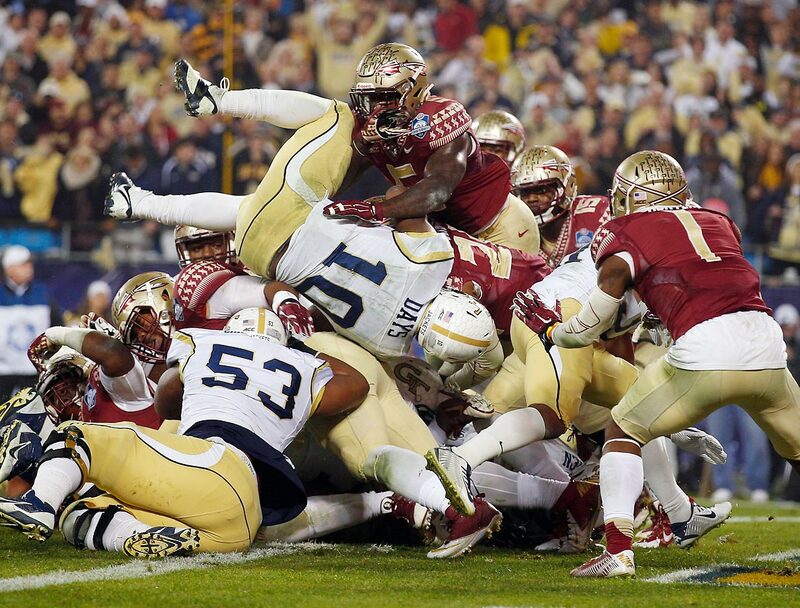 Georgia Tech running back Synjyn Days dives in for a touchdown against Florida State. 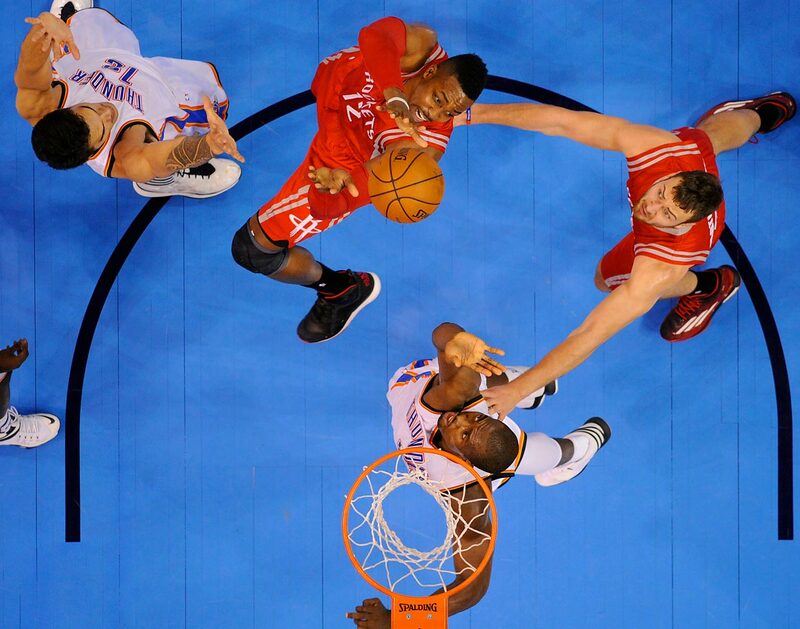 Dwight Howard goes for a shot against the Oklahoma City Thunder. 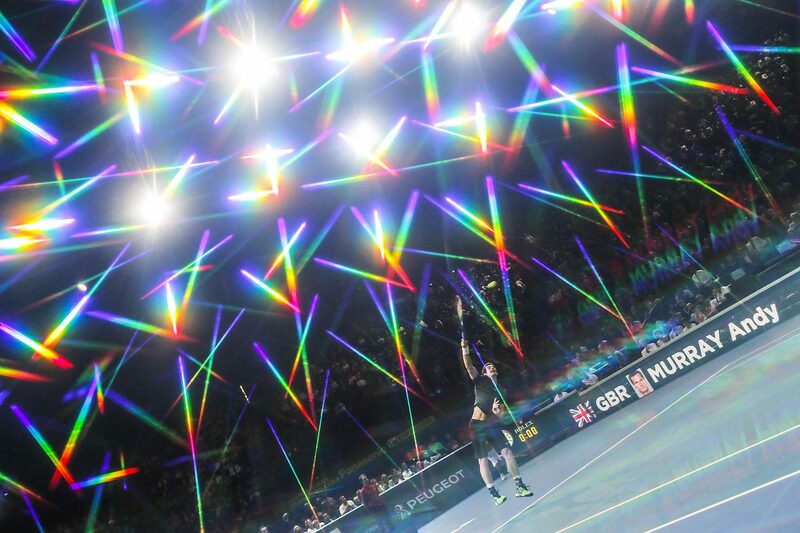 Prisms of light fly overhead during the round-of-16 match between Grigor Dimitrov and Andy Murray at the BNP Paribas Masters in Paris. Murray won 6-3, 6-3. Here's hoping everyone brought in the New Year in a good way. As we dive into the college football playoffs, the NFL's march to the Super Bowl and everything else that the 2015 sports year has to offer, take a minute to check out the best photos of 2014. Also worth your time: SI's 2014 Signs of the Apoclypse and the Bloopers of the Year. Boise State upset Arizona 38-30 in yesterday's Fiesta Bowl. The game brought out all the stars, and by "stars," I mean a somewhat bloated Ken Griffey Jr. (and his fancy camera). The game got off to a rousing start when members of the Wildcats football squad stepped all over this male cheerleader's "S" and featured a Broncos touchdown via the rarely-used Statue of Liberty Play. Arizona had a chance to tie late in the fourth quarter but QB Anu Solomon took a sack with no timeouts left and the clock expired. Late candidate for sports story of the year: Michigan fan @markthenomad sent a tweet back in October that read, “I’ll tattoo Jim Harbaugh’s face from his guest spot on Saved by the Bell on my arm if he comes and coaches Michigan.” Now he's trying to raise the $200 required for the tattoo. As of this writing (7:45 a.m.), he needs $75 more to make it happen. 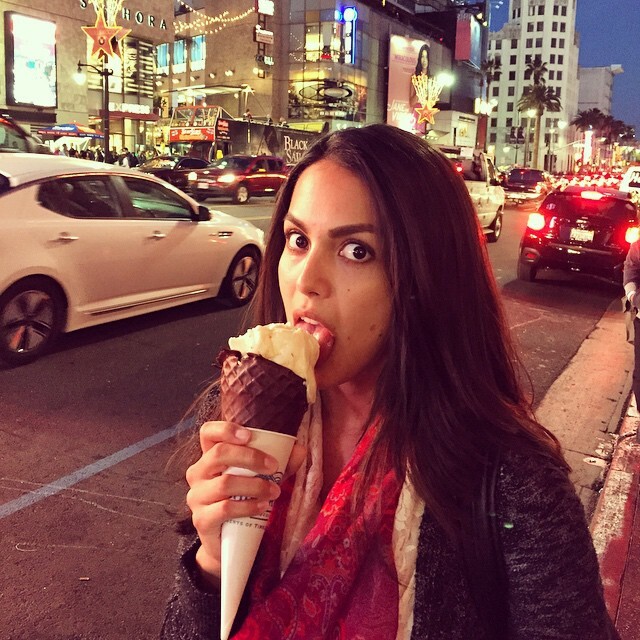 As a proud member of #Pomplunation, I am happy to make Raquel Pomplun the first LLOD of 2015 (click here for full-size gallery). Remember Tuesday's crazy ending to the Florida-FSU game in which UF center Jacob Kurtz accidentally tipped in a last-second FSU shot to give the Seminoles a victory? A similar play happened in the closing seconds of last night's Spurs-Pelicans game, though this one just brought the game to overtime. Today's "this has nothing to do with sports" link comes from Wired.com. You know you always wanted a lamp that looks just like the Eiffel Tower. Kaitlin Olson isn't the only celebrity with a custom Oregon jersey. I really enjoyed this piece looking at the year in fan behavior ... Ndamukong Suh had the perfect excuse for stepping on Aaron Rodgers: numb feet ... Concession Food Item of the Week: Lambeau Field's baked mac and cheese ... Peyton Manning tracked down a fan in Alaska ... This LeBron James-Dwyane Wade video from Christmas has NBA fans talking about a reunion ... Tim Tebow was all over this trick play turned in by TCU during yesterday's Peach Bowl ... Carmelo Anthony said the Knicks would "crumble" without coach Derek Fisher ... U.S. soccer star Alex Morgan got married last night (lucky guy) ... 31 famous Friends cameos ... Top TV fight scenes of 2014. Rene Rancourt sings Auld Lang Syne with the help of a giant bear before yesterday's Bruins-Leafs game. Random story: I used to work at the Honeybaked Ham in scenic Framingham, Mass., and Rancourt came in once to pick up a ham. He ended up singing to most of the store and couldn't have been nicer. An Alabama fan pulls out his son's tooth with the assistance of a golf ball. SI's top 27 (no idea how we settled on that number) videos of the year, including this "Where are they now" feature on Harold "Baby Jordan" Minor. Isiah Whitlock Jr. (a.k.a. - Senator Clay Davis) shows off his popular catchphrase.